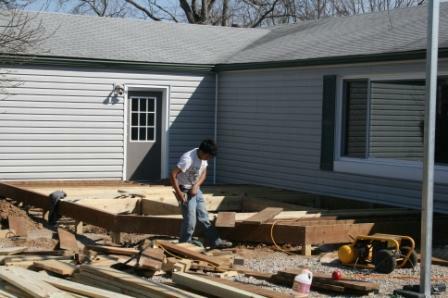 Spring has arrived at Boone Gardiner and we have all kinds of great things to show you. 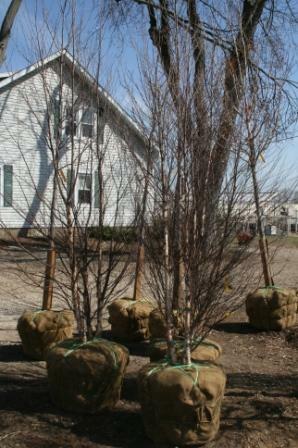 We have hundreds of Kentucky grown trees available to replace trees that you may have lost from storm damage. There are new truck loads of trees and plants arriving daily. We have a wonderful selection of Sustainable and Green Gardening Products such as: composters, rain barrels, herbicides, pesticides and much more. As well as our premier line of organic seeds, Seeds of Change, are in and we have a huge selection of veggies, herbs and flowers seeds for your garden. 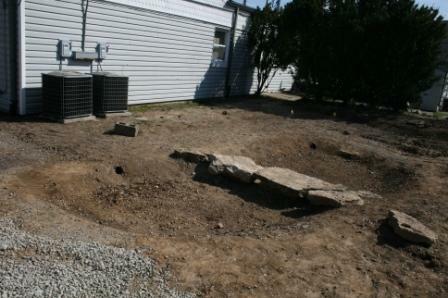 We are also doing all kind of great things and renovations to the garden center site. We have added new display gardens, are installing a rain garden demonstration area, a new sustainable materials deck, a veggie demo garden, and much much more. Seeds have arrived at Boone Gardiner! Boone Gardiner exclusively carries Seeds of Change. We believe that their commitment to biodiversity and sustainable organic agriculture results in better seeds. All seeds are 100% certified organic. 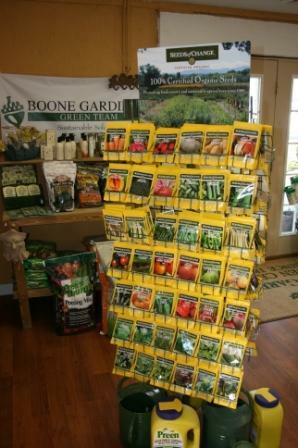 Stop by and take a look at the wide range of open-pollinated, organically grown, heirloom and traditional vegetable, flower and herb seeds we carry at Boone Gardiner.